A custom-built construction project management tool to easily capture accurate construction data at the workface. ViewPro Productivity simplifies the daily capture of data and ensure that everything is recorded in the correct and most efficient way. All daily information collected is compiled and tracked against the project's budgets allowing ViewPro to calculate all Production Rates, Utilisations, Unit Rates and Production Factors automatically without effort or errors. ViewPro Productivity saves time and effort each day and allows engineers and supervisors to concentrate on running projects so they can fix the problems rather than spending countless hours looking for them. Site progress, comments, safety stats and pictures are also recorded in our online site diary for the ultimate project record. 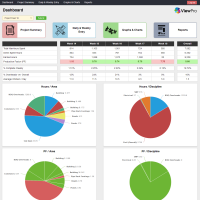 With the power to highlight troubled areas and activities as soon as they fall into the red, ViewPro Productivity allows site teams to fix problems in real time. Early detection advantage can save a project countless dollars and time. All this is achieved by spending less time on average recording the daily data than site teams are currently doing. Generated Daily, Weekly and Monthly at the touch of a button. 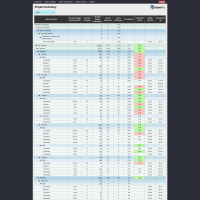 Powerful reports give users a way to view their progress & expenditures. Multiple reports generate automatically from the data captured by your supervisors and engineers on site, day to day. Created to allow users to visually inspect and drill into the project. Created to allow users to visually inspect & drill into the project. Dynamic Smart Charts help users to gain a unique perspective of their projects. 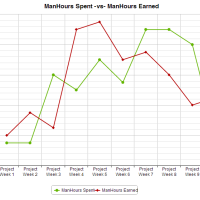 Automatically generated from the data captured, charts portray key information about Budgets, Progress & Productivity. all seen in a single report. Essential key information, all seen in a single report. The Dashboard presents users with an overview of the project where shortfalls can be identified quickly. 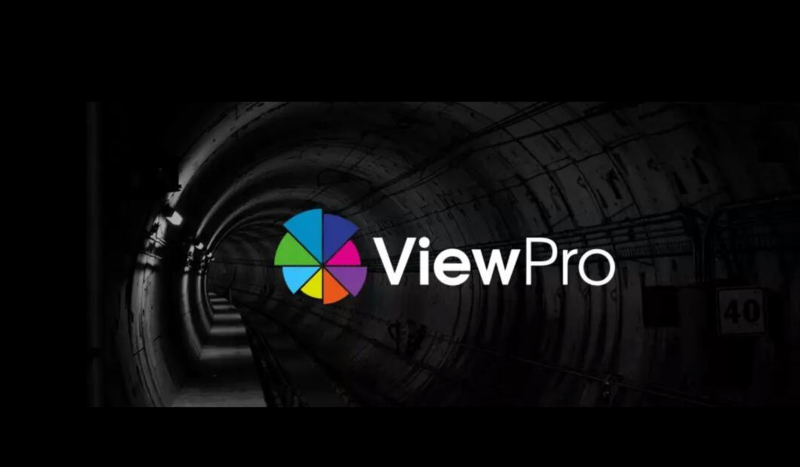 At a glance, ViewPro will provide an accurate position analysis in real time. A speedy data entry system that anyone can use. 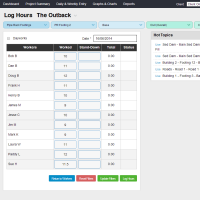 An easy, intuitive interface allows users to quickly log their Daily / Weekly hours & quantities. ViewPro removes the need to spend hours buried in cumbersome spreadsheets or complex project tracking systems. Inspect the different levels of the project in detail. A table to oversee your project, task-by-task. 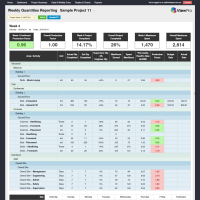 Project Summary is the heart of ViewPro, allowing users to drill down into their project and inspect shortfalls. Simple Green & Red indicators help point out how each task is tracking, empowering users with intricate knowledge of their project as it progresses. ViewPro goes where you go. Access all sites at a click. In keeping with the world of today. 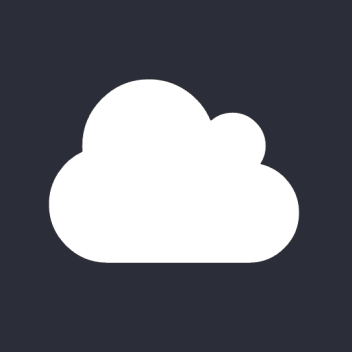 Cloud technology means that all data from the project is collated in a central database for all users. All projects can be seen on site, in transit, or in head office.